When I was a kid, my favorite food used to be popsicles – any and every flavor. And now that I’m grown up, they’re still my guilty pleasure! It can be tough to find store-bought frozen treats that aren’t filled with preservatives, syrups, and artificial colors and flavors, so I’ve taken to making my own tasty versions of my favorite treats. Here are a few of my absolutely favorites – they’re gorgeous, healthier, and still delicious for kids and adults alike! They taste as great as they look! Made with real kiwi and watermelon, these sweet treats are perfect for summer parties. It’s hard to believe you can pack this much flavor into an ice pop. The hardest part of the recipe is trying not to eat all the roasted berries before you freeze them into popsicles! 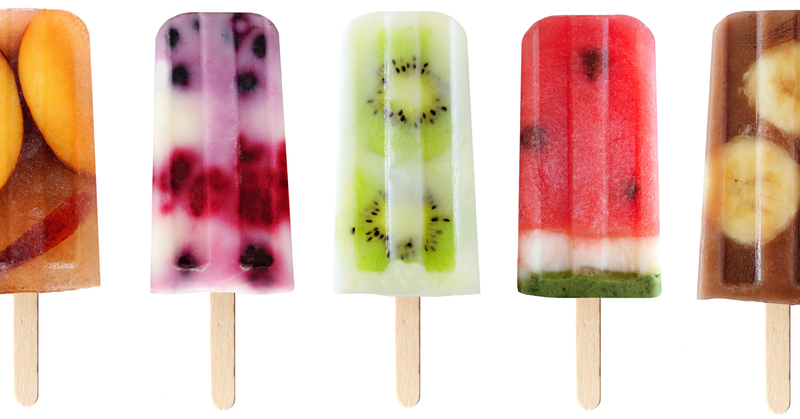 For a refreshing summer treat that helps you cool down from the heat, look no further than these amazing pops! With only three ingredients, it’s a snap to whip up a batch for an impromptu pool party. Who says popsicles can’t keep you full and satisfied? The yogurt and coconut milk in these pops deliver the protein and nutrition you need to stay focused even in the warm weather.